Are you looking to get into kiteboarding or windsurfing but the high price of new gear is beating your dream down? Now is your chance, we take in consignment kiteboard & windsurf gear from our local riders, most of the gear is in fantastic shape with a lot of life left, some of it, well, is not , but the price reflects it! The list will change often so keep checking back for “new” arrivals! Too lazy to stop in, we’ll ship it out to you(if possible)! Also we guarantee to have the lowest price on all new windsurf & kiteboard gear from Ezzy, Slingshot, Aerotech, RRD, Exocet & more. Tell us what you want & we’ll give you a price quote. 😎 Gear will be available until Sept. 30th. 2012 Slingshot Fuel 9 complete——————-$399.95 sold? Harnesses, universals, mast ext. & other items also on sale. I have been on a board 6 times and look to get into the sport. I weigh 85kg and I’m 6’3. Do you have a used starter kit for me? no, we sold/sent home all the consignment gear until next spring. Also you talking windsurf or kiteboard? windsurf. I will check back in spring. 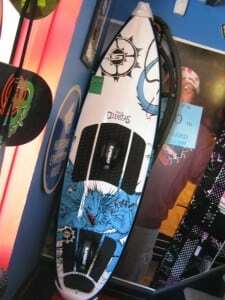 sounds good, we usually get a few windsurf items that are priced right if you are just starting out. Good to have another windsurfer on the scene. Sam, sorry, I just saw that this message was in the waiting for approval box. 3135 W. Central Ave, Toledo, OH. 43606. That board is in great shape, like new! What do you think about this Sunday forecast? Will be crowded ?? I had never been there riding but I am planning to go. sorry for the delay, I just saw your post up for approval, you should be good to post from now on. On Sunday, I don’t have much faith(as of now) in the forecast not to mention it is a bad direction for Maumee Bay state park, I think the next chance we have to ride is 6/25. This can all change in the next day(or next update). If its not stormy/rainy the beach(MBSP) will be crowded on Saturdays & Sundays. Brest Bay marina(in Mi. exit 17 on I-75) would be a do-able direction on S to SW winds but the forecasted winds still are pretty marginal. Hoping to hit sandbar around 430 if weather cooperates. I can fit several kiters if anyone is interested. Let me know.